Mother nature’s best kept secret see’s a surprising number of visitors for a “secret”, but with lush virgin jungles and cushiony white sand beaches it no wonder why. 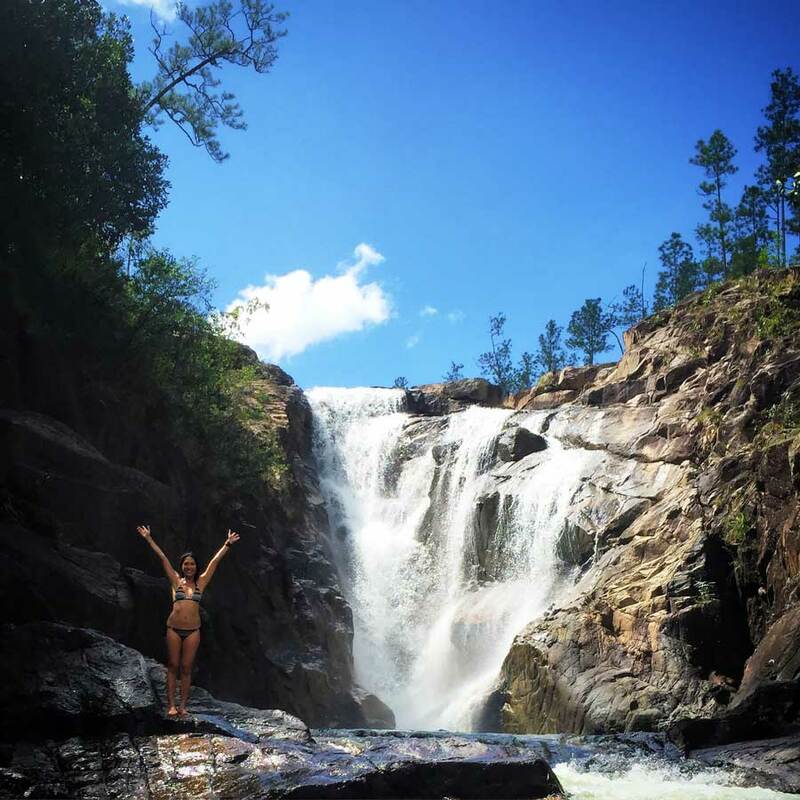 Despite all the adventurers who trek here, many people still find themselves wondering: When is the best time to visit Belize? As any local will happily tell you, it’s always a good time for an unBelizable vacation, and that’s true. Depending on your tastes, however, there’s a good time (which is seriously always) and the best time for you to visit Belize. Here are the best times, for who, and why, to visit our slice of Caribbean paradise. in this sense, the word “season” doesn’t refer to any natural phenomenon in particular, if not simply the period of time where travel to Belize is more frequent. Belize’s high season extends from roughly mid-November and thins out approaching the end of May and is when Belize is truly a bustling little center of people and activity. In these months in North America and Europe, leaves have fallen, winds get stronger, temperatures plummet and it eventually starts to snow which are strong indicators that it is time to migrate south for the winter, or at least a small part of it. High season weather is the perfect spring break weather in Belize, travelers flocking south will find that our “winter” climate is quite a bit more docile and prone to more sunny warm days than not. Traveling here anywhere between mid-February to the mid-April will find you in the most agreeable, outdoor friendly tropical weather one can imagine. If escaping your winter grays for lush green and turquoise seas is your mission, then this is a perfect time for you. Of course, we can’t let that inviting climate go to waste by staying inside our hotel rooms, there’s much to do and many events to experience if coming to Belize during this time. Kicking it off in late November for the high season is a Belizean take on Thanksgiving; while not exactly the same as in the US, locals make turkey dinner with all the fixings including dessert and you can even book a Thanksgiving Belize Vacation to experience all the family togetherness with none of the prep hassles. Directly after Thanksgiving is, of course, Christmas and being a generally Christian populace, Belizeans celebrate Christmas big. for those who like to immerse themselves in a peoples’ culture and who are religious themselves, churches hold midnight mass ceremonies to commemorate the birth of Jesus with festive songs, nativity scenes, and fireworks. Christmas might be family time, but as hospitable as the locals are you can quickly become part of the extended family and be invited to a large Belizean Christmas get-together. For the fun loving crowd, just 5 days after the togetherness of Christmas come the merrymaking blowouts of Belize’s New Year Celebrations. New year in Belize is a socializing event, many of the local watering holes and lounges throw large elaborate parties that come alive with celebrating citizens starting in the early evening and stretching well into the morning of the first day of the new year. Going out on new year’s eve for a party is an awesome way to see the livelier side of Belizean night-life and worth a swing if you’re traveling at this time. Taking a departure from the crazy fun of parties and family dinners, have you ever stopped to imagine taking your significant other on a quiet date to a private dinner in the rainforest or beside a beach? Valentines day in Belize can be the perfect time to plan and live out your dream date, Belizeans are quite a romantic bunch and know just how to make your date extra special for your special someone if you or your significant other find adventure in the tropics romantic then valentines day is the best time to visit Belize. March in Belize marks the beginning of all the spring-time fun, all the island vacations start then because the weather is all around perfect, and the Ruta Maya Belize River challenge buzz is in full swing. the Ruta Maya Belize River Challenge (Ruta Maya for short) is a 4-day long time trial endurance canoe race from the scenic Hawkesworth Bridge in San Ignacio down the Belize river to the old capital. Teams of two or three may enter under different categories, including pleasure craft (just for fun) to paddle down the river to the different stations over the long holiday. Participation is not exclusive to locals, travelers, and foreign teams can enter at their discretion or you can follow along and camp out (and party!) at the different checkpoints as the race goes on. Rounding out the high season big events roster is Easter. As mentioned before, due to Belize’s large Christian population Easter is also quite the festival to behold. Due to the fasting restrictions, the food cooked on these days by the locals is decidedly themed and centers around non-meat dishes, save for fish. The church groups organize large elaborate processions depicting the stations of the cross while the locals make beautiful colored sawdust carpet art on the roadways that the procession will pass along. At each pre-determined “station” the procession stops and acts out a different scene of the passion of christ on his walk to crucifixion. It is a little macabre to think about, but it’s an elaborate festival with a lot of thought put into it and is a spectacle to behold. An added benefit to all the festivities in the months of the high season is a boost to the amount and options for accommodations, some resorts close during the low season slightly limiting your options. Airfare is also more competitive during these times, especially with the newest introduction of Jet Blue’s new route to Belize that starts in October making it easier than ever to get to Belize from wherever you are. Some seafood also has controlled seasons such as conch and lobster in Belize of which conch is in season during high season and lobster is not. Belize’s low season extends from the start of June until mid-November when the aforementioned high season kicks off. The low or slow season as we sometimes call it is punctuated by better deals across the board from properties and attractions. Our summer low season sees more private vacations for travelers who choose to go on holiday during this time and the summer months do not hinder adventures as a majority percentage of our attractions and tours do not close when the season is off. Coming to Belize during our summer and early fall months also gives the opportunity to have a more authentic Belize experience, the higher local to traveler ratio ensures a better chance to see Belizeans in a more relaxed, natural state of being than they would be during busy times. The low season begins in what we mostly consider the peak of our Caribbean summer, May and June are probably our hottest months. While that prospect may not sound ideal we assure you it is; being a small nation on the edge of the Caribbean sea and dotted with white sand islands makes water sports one of the most enjoyable things here. Departing from the heat, July onward starts cooling down with the arrival of the rains which come and go at their pleasing throughout August, September, and October. However frequent our rainstorms may be they are always short lived, rarely ever raining constantly for more than an hour before moving on to somewhere else in Belize. June 15th is the kick off for Lobster season in Belize and in ceremonial fashion the kick off for the real Belizean summer and all the fun associated with it. To commemorate the opening of the season for lobster the country hosts the annual Lobster fest which is a two-week long party that is spread out between San Pedro town, Caye Caulker, and Placencia village. Lobsterfest is exactly what it sounds like and just what one would think; a large party in which one eats all things lobster. The locals get creative with their servings of the dish, grilling it, baking it making it into fritters, ceviche, and stews. over these two weeks and three weekends, if you choose to follow it you can partake in all the merriment locals do having your favorite cocktails the Belizean way and a variety of lobster however you may like it. If seafood is your thing, Lobsterfest is definitely the best time to visit Belize. If lobster isn’t much to your fancy then how about whale sharks? No, we don’t eat whale sharks in Belize, but we do dive with them. Whale sharks are quite literally the biggest fish in the sea measuring up to 40 feet in length which is about three and a half building levels high (for some perspective). The beginning of our balmy summers see’s the annual drive-by of migrating whale sharks to our warm waters in order to spawn. A few choice days in the end of April and the end of May are the best to come see these gargantuan creatures glide through the water feeding on jack and snapper near the Gladden Split. 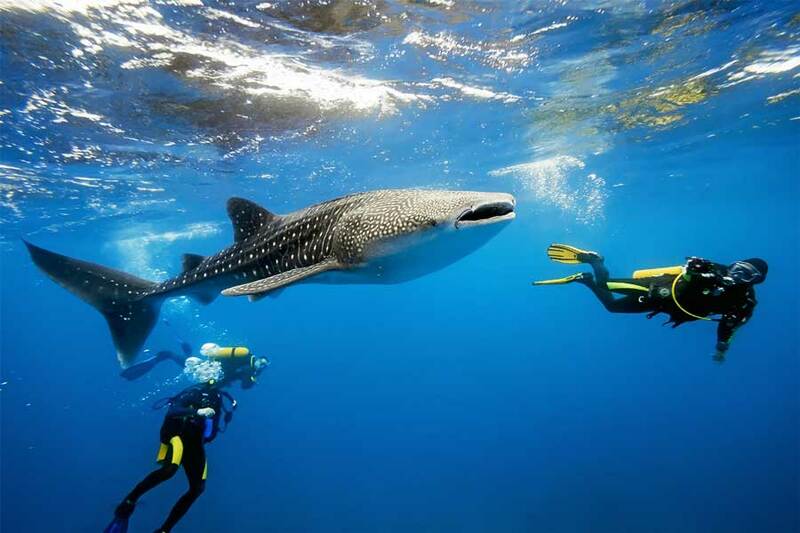 Snorkel and Scuba expeditions are available for travelers who would like to experience swimming with these submarine sized fish in our clear blue waters, and for those wondering, whale sharks are very tolerant of divers and haven’t been known for liking humans as snacks! Later on in the summer, hopefully, after everyone has recovered from their Lobster induced coma, is San Pedro’s regionally famous Costa Maya Sea and Air festival. Costa Maya as it’s shortened to is a five-day weekend festival complete with beauty pageants for Miss Costa Maya, live performances from international music groups, Beach parties, pool parties and fine dining. It’s the best time to visit Belize if you want to experience the soul of our island life in one activity filled week. Next up, Belize in September, our month of patriotic celebrations. On the 10th day, Battle of St. Georges cay day commemorates the only major armed conflict to ever occur here. Marching bands and parades take to the streets of the towns and cities on this public and bank holiday and can be considered a spectator sport for travelers as most locals will be parading instead of being at work for the day. The real big one in September, however, is the 21st, our Independence day. The festivities such as carnivals happen to surround the date, usually, a week before save for the Orange Walk carnival which takes place on an actual day. The carnivals are large scale parades similar to the ones held in other Caribbean nations with big trucks blasting music and costumed dancers making their way behind them, these are quite the spectacle to behold and participation is encouraged so don’t feel afraid to jump right in! In addition to our patriotic nature, the low season is also the best time to visit if you are more interested in some of our customs that receive less fanfare. When most of you will be celebrating Halloween and trick or treating, locals will be celebrating Finados. Finados is a set of days from October 31st to November 2nd in which the dead are honored with prayers and offerings of food much like Dia de Los Muertos in Mexico. Local celebrators construct altars in their homes with pictures of loved ones that have passed on and light candles near the tombs to honor and comfort them. Edging toward the re-start of high season is the “final” calendar event. Garifuna settlement day in Belize is the day in which we collectively honor the day in which the Garifuna officially came here to live. The day is festive with Garifuna parades showcasing their flag, traditional dress, their famous drum music and their dances. Aside from all the kinetic energy flowing through on that day, Garifuna settlement day also sees their traditional cooking and dishes on sale for all to enjoy, Garifuna people and even non-Garifuna try their hand at dishes like Sere and Hudut and Boil Up to fuel all the lively celebrations taking place. There’s always something to see or do in this little country called Belize, so much that it must become somewhat confusing after a while when to come. Depending on your reasons for travel, what is generally a good time for a Belize visit could actually be The best time for you!